Pickering Interfaces, a leading provider of modular signal switching and simulation for electronic test and verification, is pleased to announce the launch of a new High-Density 2 Amp PXI Relay Module. This 2 Amp PXI Relay Module (model 40-100) is configured with 83 SPDT relays, this Relay Module was originally designed for applications in Aerospace and Defense requiring a higher density 2 Amp alternative to Pickering’s current 52 SPDT Module (model 40-139). This new Relay Module is suitable for applications requiring medium power switching with very high density. It features a 2 Amp current capacity and voltages to 200VDC/140VAC. Connections for the 40-100 high-density Relay Module are made via a front panel mounted 500-pin SEARAY high-density connector. Pickering also offers standard cabling solutions converting from this high-density connector to more standard interfaces such as D connectors, IDC connectors as well as an unterminated option for ease of use. 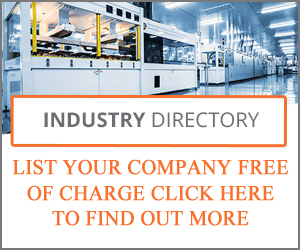 Typical uses are found in automotive, aerospace, military and power cell testing applications. 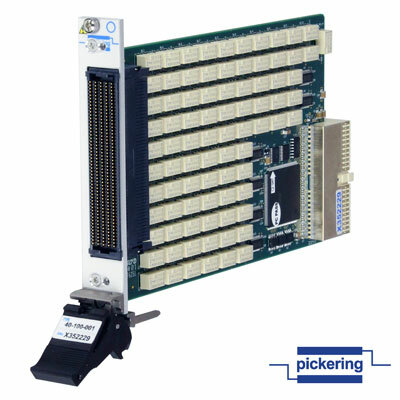 Pickering Interfaces stands behind all of their manufactured switching and simulation products with a standard three-year warranty and guaranteed long-term product support.